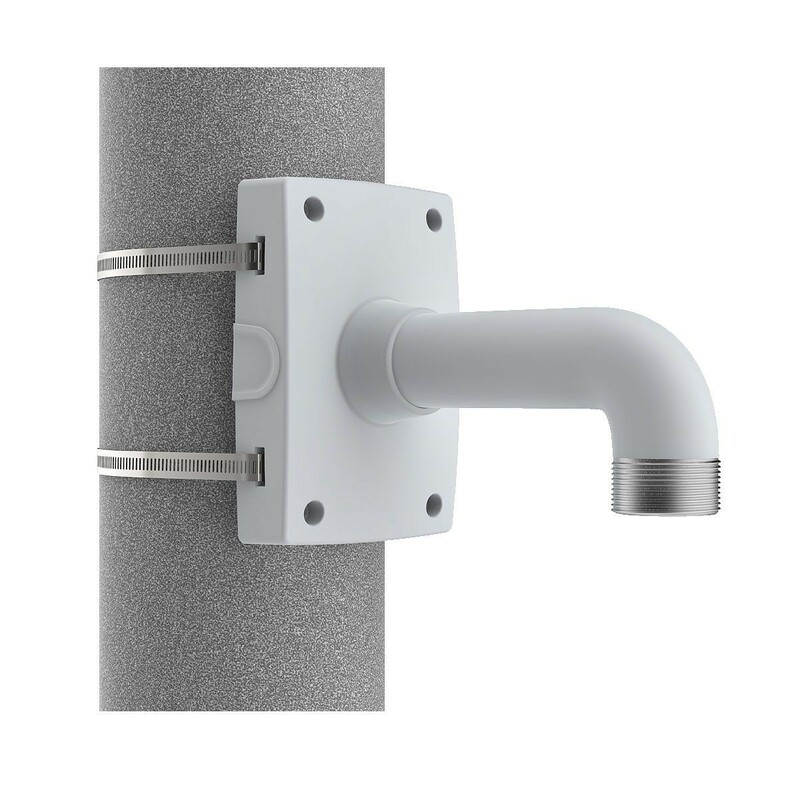 Outdoor-ready, powder-coated aluminum pole mount with 1.5" NPS thread for fixed dome pendant kits. 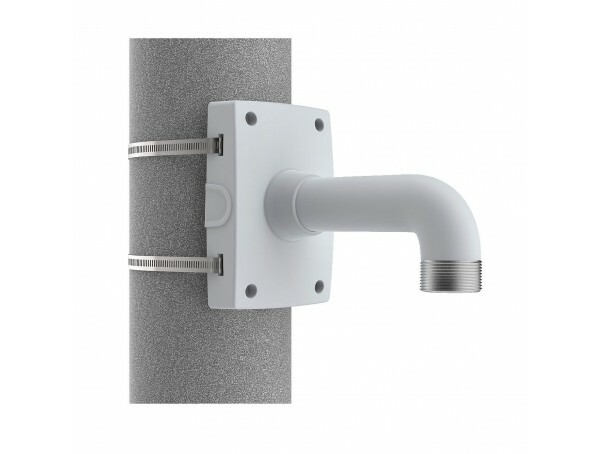 Includes insect-proof cable gasket and 1 pair of stainless steel straps (with TX30 screw) for pole diameter between 65-165mm (2.5"-6.5"). White in color.